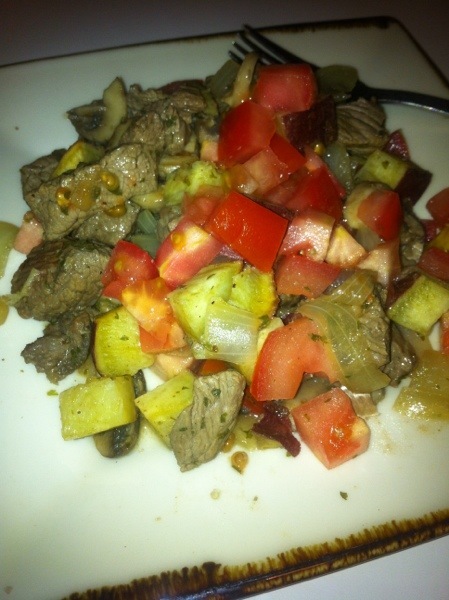 ← About to go Paleo again! Okay! Day 1 of my 90 days of Paleo in the bag! I wanted to find some new recipes to make these next few months so I just googled ‘best paleo meal’ and this recipe came up. I wouldn’t say it’s the BEST ever but it was really good plus super easy to make. *2 cups or so of sliced mushrooms. The more the better in my opinion! 1. Start out by marinating your meat for a while. 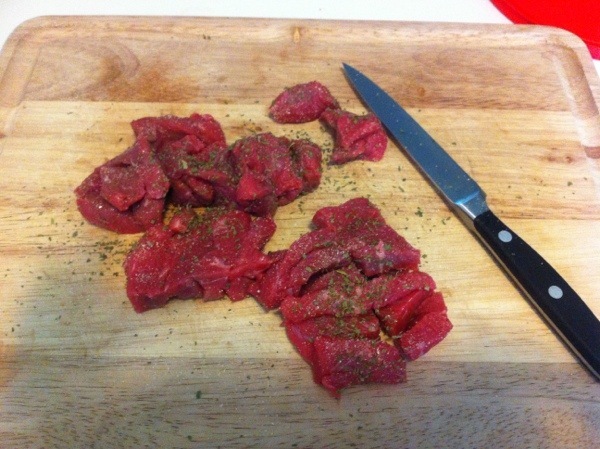 I just tossed it with some olive oil, garlic powder, parsley, and some Thai salt and pepper. Any seasoning or salt would work. I just did that in the morning but it can be done immediately before cooking too. 2. 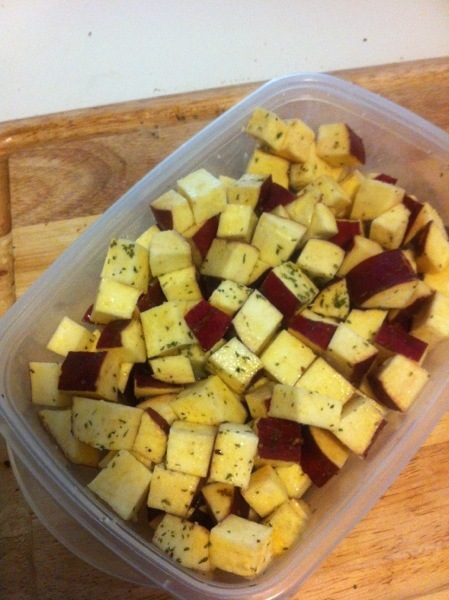 Cut up your sweet potato into little cubes and drizzle with olive oil, salt, and a little parsley. Put on a baking sheet and roast for about 30 mins or until nice and crispy. 3. In a large saucepan add some olive oil and add your onions. 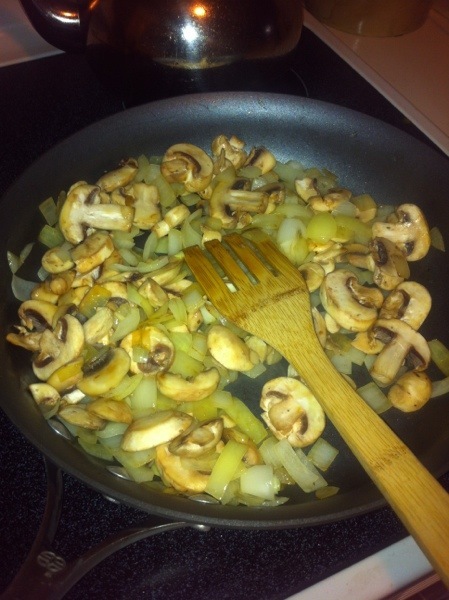 Cook them until transparent and then add your mushrooms. 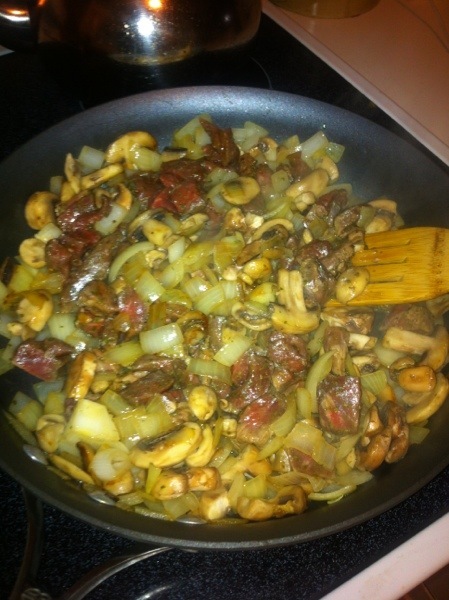 Cook until almost done and then add your chopped steak. 4. 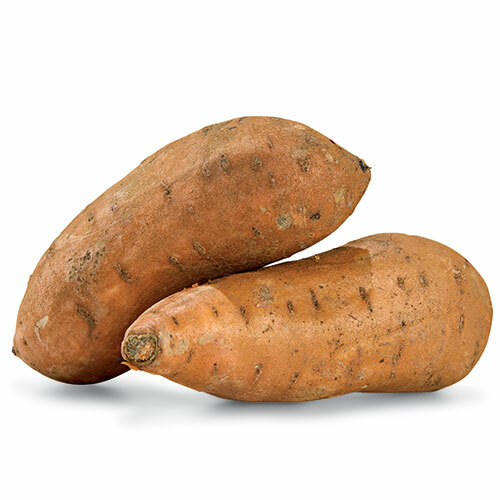 Cook the steak until how you like it and about 5 mins before the sweet potatoes are done, toss them in with the mixture. Stir together and taste! May need a tad more seasoning so I added some of this Thai salt we have. So good! 5. Chop up your tomatoes and add at the last minute on top and serve! That’s it! This was a solid one… nothing fancy but very tasty. Definitely looking forward to a repeat!